The Little Sisters of the Poor will host their tenth annual golf tournament Saturday, June 11, at the Scranton Municipal Golf Course, Mt. Cobb, Pennsylvania. a pre-tournament refreshment reception, a light meal during the tournament and a post-tournament dinner at the course clubhouse. If golf isn’t your game, why not consider joining us for the tournament dinner? We have some special packages that might interest you! Golf equipment courtesy of LT Verrastro Inc. Gift certificates to Tim Wagner’s Sports Corner, Sports Page – Clarks Summit, Johnny’s Car Wash, Alfredo’s Pizza, Brick Oven Pizzeria & Restaurant, and many more! For more information, please contact Mrs. Jackie Galvin, M.S., director of development and communications, at (570) 343-4065 ext. 3144 or scdevelopment@littlesistersofthepoor.org. All proceeds will be used to purchase a new bus for the residents of Holy Family Residence. Pictured are committee members: seated: Jerry Musheno; Tournament Co-Chairman Patrick J. Sheridan; Tournament Co-Chairman Gene Cosgrove; Mother Theresa Louisa, l.s.p. ; Sister Marie Therese, l.s.p. ; and Tournament Co-Chairman Bob Blaker, maintenance director. Standing: Lisa Blaker, director of activities and volunteer coordinator; Janet Skibinski; MaryCarol Kanton; Jackie Galvin, M.S., director of development and communications; Karen Caruso, development assistant; Ann Kwak; Pete Kanton; and Charlie Butler. Also serving on the committee are Debbi Bean, R.N., director of nursing; Joan Blaker; Atty. Jim Conaboy; Atty. 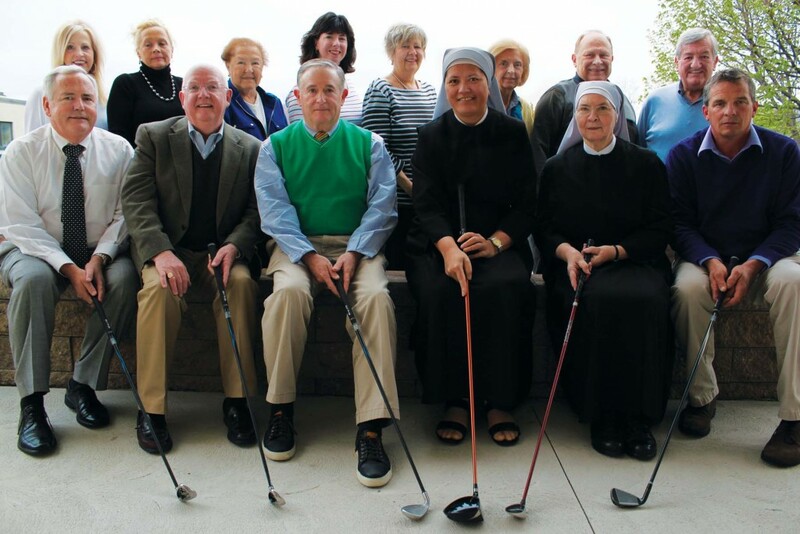 Kevin Conaboy; Mike Crossin; Theresa Durkin; Tracy Genell; Bill and Kathy Hughes; Tournament Co-Chairman Chris James; Bill McDonough; Carole Paswinski; Eddie Ruddy; Pat Salmon; Kim Simchak, business office manager; Tim Speicher; and Dave and Joyce Tressler.